Our relationships play a big role in our happiness. But it’s sometimes difficult to keep a healthy social life amid busy schedules. Luckily, a hot tub at home can help. Here are three smart ways to use the hot tub to improve your most important relationships. Encourage Openness With Family – The modern family has to work overtime to stay connected as distraction from smartphones, video games and television make quality conversation a thing of the past. Family night in the spa is a convenient way to get everyone together for laughter and fun. 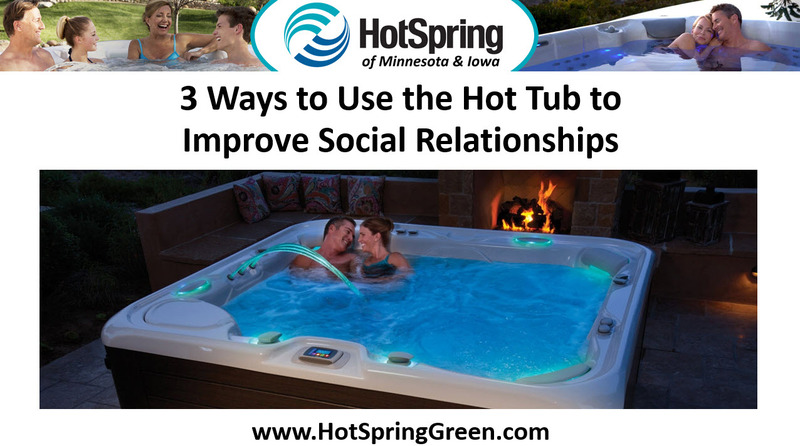 Renew Romantic Relationships – A hot tub in the backyard is the perfect place to build intimacy with a spouse or significant other. The soothing environment created by the spa is welcoming, and a convenient way to build strong physical bonds. Twenty minutes together in massaging water is simple and fun.